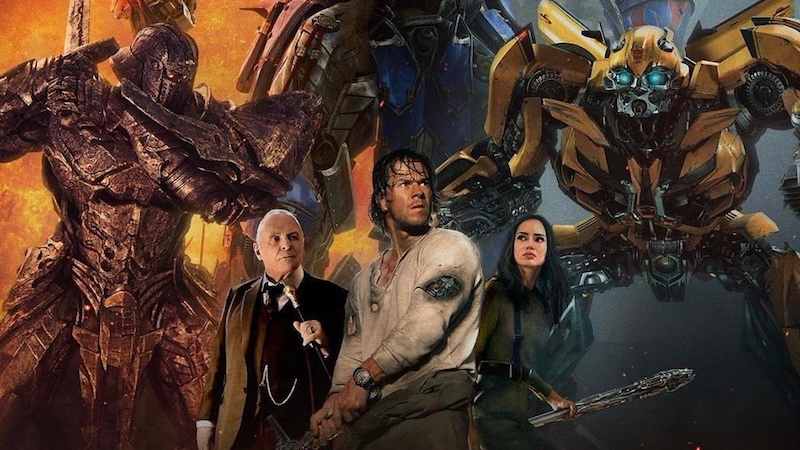 Can You Make a Poster Worse Than the Ones for Spider-Man: Homecoming and Transformers: The Last Knight? We’ve barely started the summer blockbuster season and already two movies are battling it out. Oh, not for box office supremacy. We’re talking about the worst poster of the year. Thank god for that random insert of the Washington Monument, otherwise this poster wouldn’t convey that part of this movie takes place in Washington, DC. Which is VITAL for a poster. But Transformers: The Last Knight REFUSED to let Spider-Man win this one outright. Because its poster seems to convey that its leads are going to be ever so slightly out-of-focus for the entire movie. Because, is it just me, or is Mark Wahlberg literally fraying around the edges here? Now, we are not asking you to fill our comments with better posters. Anyone, including my cat, could do that. We are asking you to pick a movie, any movie, and try to do worse. My colleague James Whitbrook requests “the garbage Wonder Woman poster that’s just Danny Huston’s face at different angles, 17 times over.” I myself would like to see a Star Wars poster that has no people, no droids, or ships. Just a bunch of planets so I know where the movie is set, but not who’s in it. Unleash your creativity upon these posters and give us your worst.